I originally started writing this blog because over the last couple of years there has been a lot of change in my life but not necessarily in the way that I wanted/anticipated. I mentioned to a couple of close friends that I don’t seem to know what I’m doing with my life anymore and they thought that quite a lot of people are in this position, therefore the blog! The last couple of years have been somewhat of an inner spiritual journey and I’ve been having to let go of a lot of perceived control over my external circumstances. This has felt very challenging. Over the last couple of years I’ve been experiencing the feeling of wanting change in my life and I’ve had moments where I’ve felt really divinely inspired about what I want this change to be. Mainly, changes in my living location and expansion and change with my career. However, right now my life feels that it’s fairly topsy turvey, and not flowing in the way that makes me feel in control of it! in the past when I’ve had clear ideas of change that I want, for example, moving from one town to another – it has happened really quickly. I had the idea; mentioned it to my husband; he was open to this level of change; we found a house to move to fairly easily; the transition went smoothly. My previous experiences when I’ve had divinely inspired ideas or real lightbulb moments of what I need to do seem to have transitioned really easily. Right now, it doesnt feel like things are flowing as easily or readily or in the way or time-span that I would like. It feels like I am being asked to learn some lessons. I’m having to learn to quieten my logical/rational/over-thinking mind and allow my intuition to develop; and to learn to live more in the present moment. And to listen to my inner knowing/my higher self? My knowing that I will be provided for and that everything is exactly as its meant to be for me right now. This is very challenging for me as I’m naturally a very big planner. I like planning things and knowing what’s happening in my life. I’ve always worked from the viewpoint that if you work out what you want; get focussed; and think about what you can do to make it happen; then you work really hard and then it happens/works for you. This is what is being brought into question for me, because this isn’t working for me at the moment. I’m having to rethink/refeel how things work in my life. 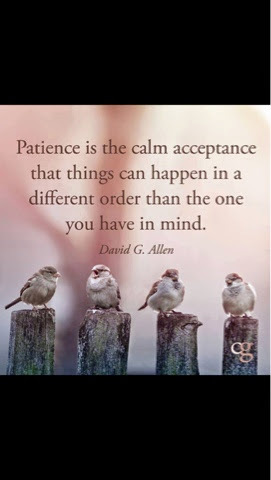 So I’m having to learn patience and surrender. Earlier this week I had a strong logical idea and I could feel myself slipping back into my old pattern of over-thinking and trying to make it happen. The next day I woke up not feeling great! I notice that not feeling 100% physically makes me very present, more in my body and less active mentally. My physical body seems to force me to become more present by making me feel physically unwell and making my head feel foggy. I’m having to let go of the need to feel in control of my life. And even though I’m having these inspired ideas, I’m having to do whats in front of me that day and that week. I’m having to expand and deepen my trust in the support of the universe. I’m also having to release my negativity, my frustrations/anger/sadness which comes up about the fact that I’m not in control; things arent happening in the way that I want them to happen or in the time span I want them to happen in. My whole energetic body is being asked to work in a different way. Is it that these are energetically turbulent times? The planet is certainly at a crisis point. So maybe we’re being asked and encouraged to look at life in a different way and to awaken? Surely it cant just be me? Is this a planetary shift? There must be many more humans that are being asked to question and awaken and work from a different perspective? Letting go and letting “God” or Letting go and moving on!